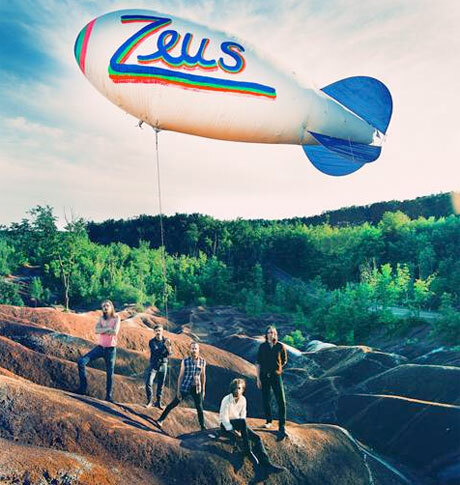 Pop-rock classicists Zeus are preparing to release a new album in September, and they've announced plans to support it with a subsequent North American tour. Classic Zeus drops out on September 2 via Arts & Crafts. A little more than a week later, on September 10, they will hit the road for nearly six weeks. There are 22 shows in all, with a little more than half of them taking place here in Canada. See the schedule below. Scroll past the tour schedule to watch a new video for the brightly poppy "Miss My Friends." The stop motion clip was made with photos from David Gillespie, and it shows an elaborate arts and crafts project that turns out to be a Zeus-branded mini-blimp.